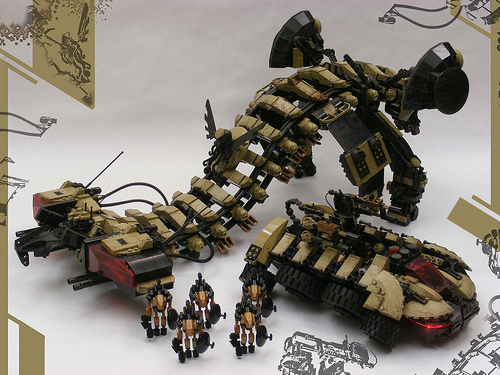 Raoul Baldwin built this alien dropship using train tracks as the backbone. It carries a tank attached via magnets. Perhaps more interesting are the decorated the bricks by watercolor crayons for an added texture.